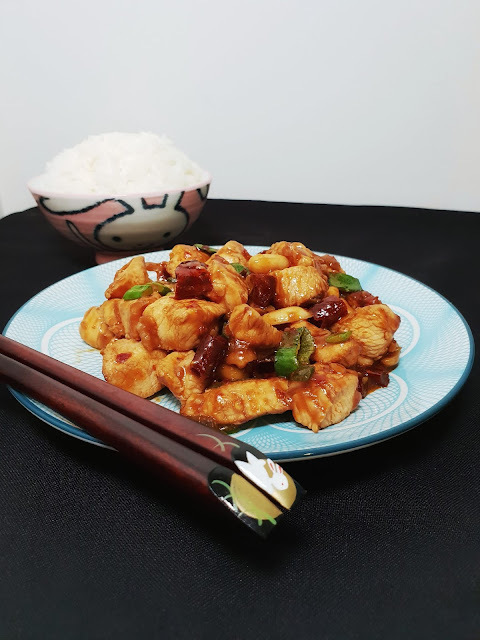 Originally from the Sichuan province of China, the original gong bao – or kung pao, as it's sometimes romanised – chicken is quite different from the version you find at your standard takeaway. Not that the standard takeaway is bad – far from it, there's nothing like a lazy Friday night Chinese and it still tastes amazing – I'm just saying the two are slightly different creatures. Since falling for Sichuanese cuisine, and later my Sichuanese other half (coincidentally in that order), I've found myself cooking the original style quite often when I want a quick and tasty meal. 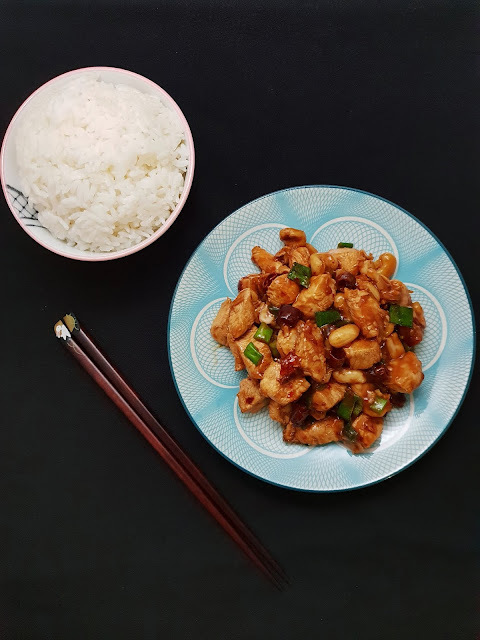 While the takeaway kind is more like a slightly spicy sweet and sour with chopped peppers and pineapple (and even strawberry, as I found once), the gong bao chicken you'll find in Chengdu will be a little spicier, and numbing from the Sichuan peppercorns, and a little more complex in flavour. 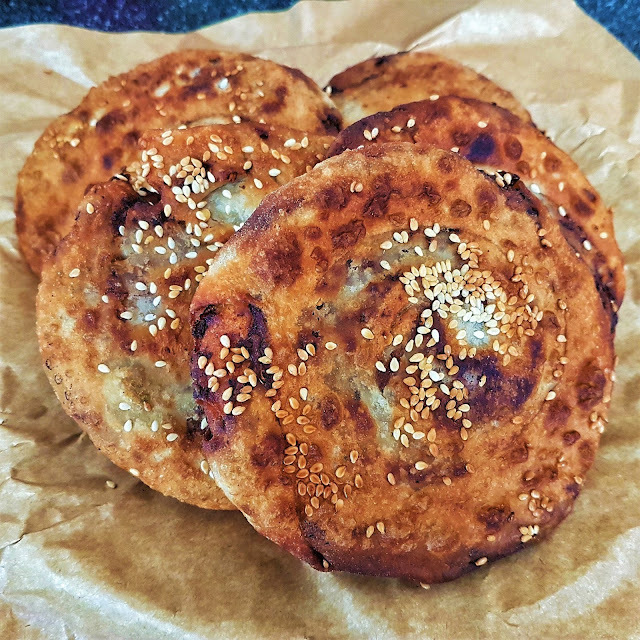 When I asked Mr Tashcakes where to find the best gong bao chicken there, he shrugged and said 'You find it everywhere here, and everyone makes it differently – it's just a home meal kind of thing.' So here's how I do it. Don't be put off by there being two parts to the ingredients: it really is quick and easy. 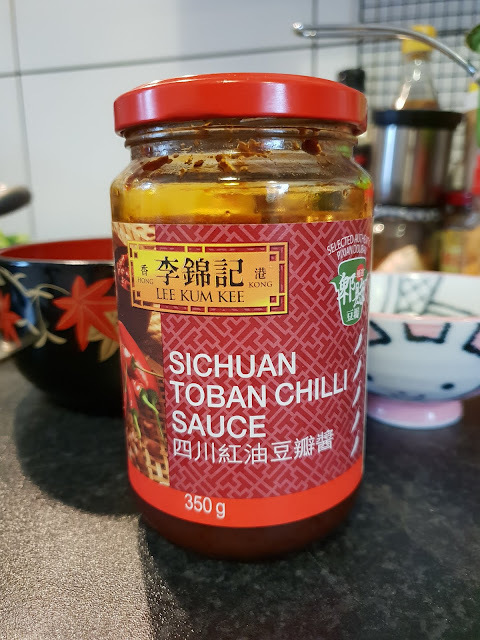 This is the doubanjiang – fermented chilli bean paste – that I use. 1. From Ingredients A, mix the chopped chicken, soy sauce, rice wine, vinegar and cornflour together, and set aside for a couple of minutes. 2. While A is resting, mix Ingredients B (apart from the onion greens) in another small bowl to make a sauce, and set aside. 3. Heat the frying oil in a wok on a medium to high heat, and fry the chillies, garlic, ginger, peppercorns and onion for a couple of minutes, or until fragrant. Add the chicken and stir fry for another five minutes, adding the peanuts for the last minute. 4. Add the sauce to the wok, and keep stirring until thickened. Finally add the green spring onions, and fry for another minute, before serving with rice.